What motivates you, and how do you achieve? 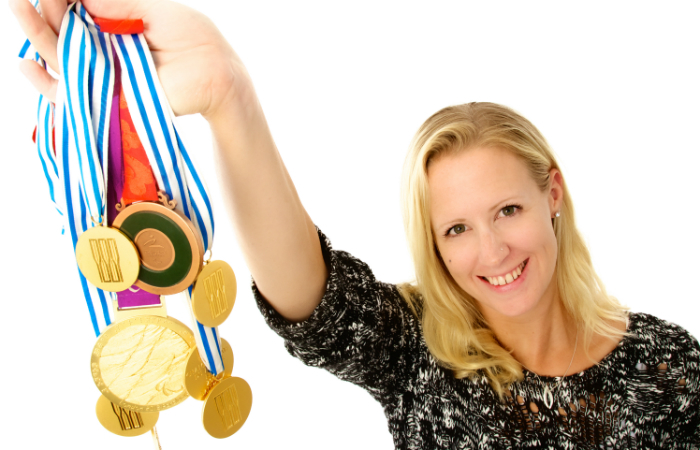 Alex Burden interviews Naomi Riches MBE on her phenomenal Gold win at the London 2012 Paralympics and how psychometric profiling and understanding the way she prefers to behave helped in achieving her goals. Naomi is a former elite rower who bagged a bronze at the 2008 Beijing Paralympic Games, was in the only Para-Rowing crew to take a gold in London 2012 and brought home six World Championship titles. Born with a visual impairment, Naomi was a key part of developing Para-Rowing as a sport, as well as focusing on her own prowess in the water. She attributes psychometric assessments to helping her win the Gold and firmly believes it was a key part of her personal journey from Beijing to London. The GB Rowing Team’s Performance Lifestyle Advisor suggested using psychometric assessments to gain new information about herself and lay the foundation for self-awareness to achieve goals. After retiring in 2013, Naomi joined Thomas International, the global provider of people assessment tools with dedicated Education and Sport divisions. Thomas Sport works in all areas of sport from grassroots players to the elite, from personal trainers to a sporting governing body, by implementing a top-down and bottom-up approach to organisational culture change. How did you get involved with Thomas International? “I used psychometric profiling during my rowing career and it helped me hugely in understanding more about myself. I always thought I was quite self-aware but it helped me really understand why the way I reacted to something was then taken in a wrong way (as I thought) by somebody else: people view the same situation in so many different ways and having self-awareness gives you the opportunity to react in the most suitable way. “I knew that the way I reacted to situations didn’t always work for the rest of my team mates. I learned that I’d have to modify: I tended to react more emotionally to situations than they did. Caring about your team mates is part of the job in a team sport, but when it is distracting you from doing your job that will not help your team! How does profiling align with achieving professional goals or career progression? “We do not spend time with clients telling them what to do, how to change, how to achieve; we talk about strengths and areas for improvement, communication and learning styles, motivators, leadership potential, and emotional intelligence. "It is all about conversation and facilitating discussions that allow clients to think for themselves, we are always trying to empower the people we work with. 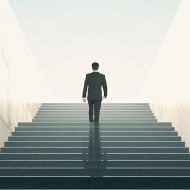 “We look at behaviours; all the stuff that people see; how you prefer to work in an ideal world; how you work under pressure; and then drill down further into emotional intelligence. Our newest tool is a personality assessment looking at leadership potential. “You might have two people with exactly the same profile, but the attitude, the values, the beliefs - all the things that are driving that behaviour - might be totally different". What is it like to examine your behaviour? After winning her gold medal in the 2012 Paralympics, Naomi had a chance meeting with Simon Pasco, the head of Global Customer Development at Thomas and was invited to speak at their annual conference. She mentioned using psychometrics during her sporting career, which led to Simon arranging a meeting with Thomas Sport. Naomi soon went on to become an Associate with the organisation. “It was halfway between getting a bronze in Beijing and a gold in London that I learned the most about myself," she said. "Because I missed out on selection in 2010 by half a second, I had to go away and train by myself for four to six months. “Suddenly it was just little old me by myself out of the GB training environment; nobody to coach me, no other athletes to bounce off. Doing the psychometric profile gave me such a good understanding of myself that I was able to confidently ask coaches at my local club to give me a couple of hours of their time each week, so that I could improve and go back in the squad fighting, the following season. With that little tweak, that little change - whatever it is – will it help you achieve what you need to achieve, or will it fall by the wayside? “For me, that tweak was making sure that I reacted and responded in the right way as this would help my crew mates; I’m a team player but I worry, often too much about what others think and it was more often than not that fear which got in the way of me achieving. "I love being around people and I struggle to work by myself, but actually those six months in 2010 were a really great learning curve. I learned so much about myself because I wasn’t bogged down with worrying about everyone else. Do you continue to use profiling throughout your career to establish continual goals? “We absolutely practice what we preach. We discuss our assessment results with our managers in our monthly one to one meetings and track our journey as part of every Thomas employee’s personal development; this also includes our 360 process, whereby once a year we run a peer analysis questionnaire to further develop our self-awareness and awareness of others. "Annually, we also run our Engage survey to establish levels of workforce engagement and take actions away from the results to better our company culture. We’re all very open about our profiles and who we are, and wear them as a badge of honour. “The thing about Thomas is that because we are using the language all the time, we’re probably a lot more open than other companies are about being yourself, because everybody understands what yourself is - it makes it easier to work with others."